Like many thousands before you, you may be filled with excitement about heading halfway across the world on a new adventure. So instead of learning the hard way, here are some things I learned along the way on my work and travel holiday in Oz that should help you out! Don’t attempt to fly to Australia without the proper visa…you probably won’t even make it on the flight! If you meet the criteria, getting a working holiday visa is easy. You can find out more about getting your Oz working holiday visa here. Make sure you budget accurately for your trip! Australia is an expensive place, especially in cities like Sydney and Melbourne, and if you’re not working, you need to save every cent so make sure you have at least AU$5,000 to survive a few months without work. 3. Don't get cut off! Inform your bank of your travel plans before you leave. You don’t want them to cancel your credit cards while you’re on holiday. This happened to me (not fun). 4. Decide if you want to stay a 2nd year early on. This means you can get your 3 months regional work overwith and plan for when and where you want to do it, preferably in the cooler months. 5. Transfer your money to your new Australian Bank account! As soon as you open it. You can use a transfer service like Transfermate because bank fees are 'ouch!' expensive. 6. Pay any outstanding bills in your home country-phonebills, etc. As you can easily forget about these and you could end up with a bigger problem when you come back. 7. Bring prescriptions for any medications you want to bring into the country. The healthcare system is good in Australia, but unless you can benefit under the medicare levy you will probably have to pay a good bit for it! 8. You should declare any medications when you land at the airport! Make sure you bring any prescriptions also to prove they are yours. 9. Often, the ‘’Nothing to Declare’’ queue is a lot longer than the declare que at customs at the airport. If you declare something, your bag will be searched and you’ll be questioned but it only takes 5 mins and your wait time will be much shorter. 10. Book accommodation before you arrive. A hostel or Airbnb are the cheapest options! Be mindful that a hostel will still cost you up to $50 a night for a private room in some of the more central locations like Melbourne or Sydney. Alternatively, you can go couchsurfing or stay on a farm. Check out our blog post on finding suitable accommodation in Oz. Book at least a few days or a week to be on the safe side. 11. Make sure you have enough cash for 6-8 weeks rent as many rental properties require 4 weeks deposit as well as a monthly payment in advance. They will also ask for references so bring these with you from your job or previous landlord. 13. 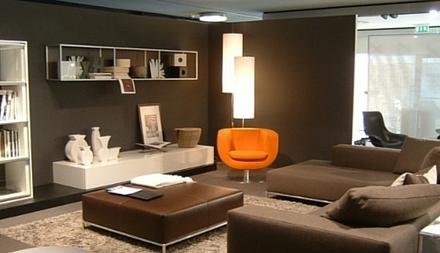 You CAN get fully furnished apartments, although rent will be more expensive. Finding cheap furniture in Oz is really easy, just go on Gumtree or browse in any of the amazing charity shops that sell couches, chairs, appliances, etc. 14. ‘’Hard Rubbish Day’’ is when Australians leave out unwanted items like appliances and furniture outside their homes for people to take-so you might just pick up some free stuff this way. Check your local city council website for details on the date. 15. If you go through an estate agent, you’ll have to provide a reference and evidence of income. If you break the lease, you’ll be charged for every single day that you don’t have someone to replace you and sometimes you’ll be asked to pay for advertising fees, so think carefully how long you want to stay before you sign a contract. 16. Depending on where you go and the time of year, it will be more or less difficult to find an apartment. We had no trouble in Melbourne but Sydney is another story. Set up alerts with estate agents and realestate.com.au. Be prepared to stay in a hostel for longer than you imagined. 18. I recommend getting an apartment with air conditioning. There is nothing more unpleasant than trying to sleep when it’s 42 degrees…that's true even for cities down south like Melbourne, which gets ridiculously hot in the summer. 42C is no joke! 19. Research jobs in Oz before you leave. Australia may have a good economy, but it might not be as easy to get a job as you think. If you’re on a working holiday visa, you’ll be restricted to 6 months with each employer so planning what you want to do will save time. Make sure your employer is registered as a working holidaymaker employer so you get taxed at the correct rate. Read these tips. 20. Search for jobs on Gumtree and seek.com.au. Make sure you do an Australian version of your CV as well as a good Australian Cover letter, which is more detailed than you might think. Here are some tips! 21. Sign up with lots of recruiters when you arrive. 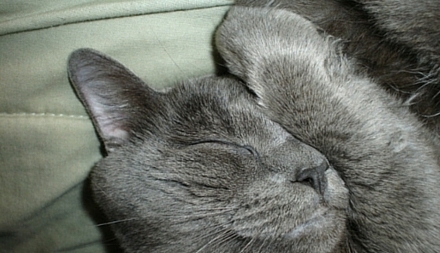 Hand out your CV at restaurants and cafés. 22. If you want to work in a bar or in a restaurant that serves alcohol, you’ll need a Responsible Service of Alcohol Cert. 23. Remember to keep your final payslips for any jobs and retain documents relating to any super funds as this will help when you want to claim your tax back! 24. All types of cars are crazy expensive in Oz. We paid $2,000 for a banger with 100,000km! If you need one try to buy one up north if possible. Cars are generally cheaper in Western Australia and The Northern Territory as backpackers will sell them on after their road-trips. 25. Make sure any car you buy has a road worthiness certificate. 26. You COULD save cash if you buy a car that runs on liquefied gas or compressed natural gas. It’s super cooled and cheaper than petrol. Just be aware they won’t dispense gas when it reaches ridiculously high temperatures. Cars in Australia are usually big and have large engines that guzzle up petrol. 27. If you’re renting a car, make sure you get the FULL insurance. I have friends who forked out $$$$ after their rental car hit a kangaroo and they hadn’t opted for the insurance. 28. Be watchful of the speed limits. Australian fines for speeding run into the hundreds of dollars so don’t be a Speedy Gonzalez. You’ll even be fined for driving too slow on some of the major roads! 29. 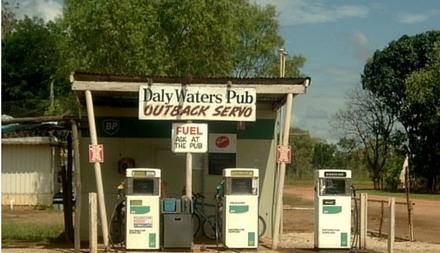 Remember that Australia is a BIG country so fuel-up on your roadtrip, unless you want to spend the night on the side of the road thinking you might meet the same fate as the victims in Wolf Creek. It's not very likely you'll become the victim of a serial killer, but it could be aaaaages before another car passes to help you! 30. And make sure you have a spare tyre as you could be 100's of miles from the nearest garage! 31. In most cases, 3rd party car insurance is included in your car registration fees. 32. In most states, you can drive with an overseas license as long as it's current (except the Northern Territory). 33. Australians have shortened versions of many words. Don’t be surprised if they attempt to shorten your name too. 34. In Melbourne, the weather can change by 10 degrees in the space of an hour-think 4 seasons in one day! It’s cold in the winter but the summer can get extremely hot. It was 41 degrees for a week in February and we baked. 35. The coffee in Australia is amazing so enjoy! Being a barista is a serious profession in Australia. 36. Don’t expect all surfing and tanning in Melbourne as there is very much a ‘hipster’ vibe, so if you’re pale like me, you’ll probably fit right in! 37. The spiders are HUGE. Just make sure you check your shoes and shake out any towels before use. They are usually harmless, so don’t overreact. 38. Kangaroos and wallabies are everywhere in the more rural areas. They are usually harmless, although you should avoid driving at night as your car will come out very much the worse for wear if you hit a kangaroo. 39. Australia is still very behind when it comes to free Wi-Fi, so you’ll have to pay for it in many hotels and hostels around the country. Annoyingly too, the checkout time for hotels is typically 10am. 40. If you’re going to the outback and want a working phone, then Telstra is your only option! 41. If you’re taking a long roadtrip, make sure you bring some travel guides and paper maps as there are blackout spots for phones. A good GPS is worth the investment but get a paper map in case the technology fails. 42. Regional work can be both super tough and very rewarding. If you want your 2nd year visa, then you should try and get your 3 months regional work done immediately. 43. Gumtree is a good place to find regional work, just make sure you’re looking for work in eligible postcodes! 44. You can also visit the Australia Gov website to find a 2nd year visa job. 45. You could end up chilling out selecting wines at a vineyard (not that likely) or breaking your back picking zucchinis out of the ground (more likely). 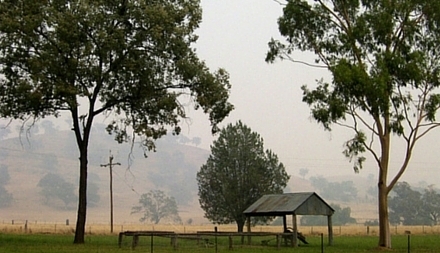 Make sure you go farmworking in the cooler months, it will be a lot easier! 46. 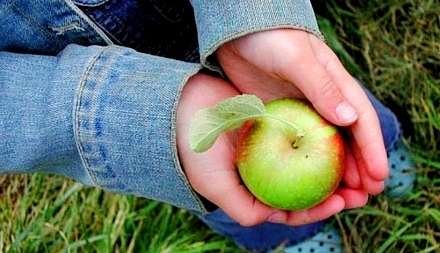 When you’re fruit-picking, you’ll often get paid by the bag, so the more you pick, the more you earn! 47. Keep your payslips and any other documents as proof of your work. 48. Drink Goon to save money! This is cheap, boxed wine and it’s way cheaper than bottled! 49. You can get a cheap phone and sim card when you arrive at one of the many high street stores selling them in the cities. 50. If you’re going on a long roadtrip it might be worth investing in a campervan to save some money. 51. You can open a bank account when you get to Australia and you’ll need your passport ID. 52. Get health insurance! If there are any emergencies it will save you a fortune. 53. Stock up on a high factor sunscreen-you will need it. 54. Surfing is huge Down Under and it’s no wonder with all the fabulous beaches so if you haven’t tried it, book some surf lessons immediately when you get there. 55. Aussies love cricket, and for those of us who’ve never seen a match before it can seem like the LONGEST GAME EVER. Just sit back, grab a cold one and relax. 56. Australian plugs are 3 pronged and the voltage is 230V. 57. Skype is great for contacting friends and family abroad, but remember that depending on where you’re coming from, you’ll probably be in a completely different time zone. 58. Don’t worry too much about tipping, 10% -15% in an upmarket restaurant is customary if the service was good. 59. Go to the Melbourne Cup. It’s a great day out at the races and will give you an excuse to dress up! 61. If you want to do a lot of travelling around Oz, Greyhound Buses are a cost-effective option. You can read a full blog post on getting around Oz here. 62. Getting into nightclubs and pubs might not be as easy as it was back home. Often you’ll need ID and if they think you’ve had too much to drink, you won’t get in. If you’ve been drinking and they ask how many at the door, NEVER say more than 2 to a bouncer. 63. 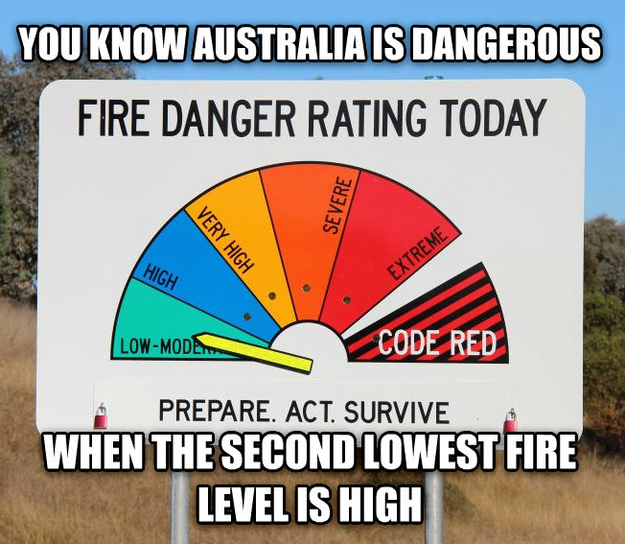 If you’re heading out to the bush, then keep an eye on fire warning signs and listen to the radio for any warnings of fires. Bush fires can get really big and quickly change direction. It's very important to make sure you don't light any campfires when there is a high risk of fire. 64. You’ll need a Tax File Number or TFN to work in Australia and be taxed correctly. We can sort this out for you! 65. Australian super is a retirement scheme for Australians and could mean a nice bit of cash for you when you get back home! Read our guide to superannuation here. 66. Plan where you want to go and places you really want to see carefully. Australia is a huge country! Read about our top ten places to visit in our Oz work and Travel Guide here. 67. If you wanna travel around Oz, sometimes it’s easier to hop on a flight due to time constraints. The cheapest airlines for domestic flights are Tiger Airways, Jetstar and Virgin Australia. Set up alerts and keep an eye on their websites for daily deals. Compare flights on webjet.com.au. 68. Don’t pack too much! You’ll be living out of a backpack but you’ll also have to carry it everywhere and you’ll end up paying extra baggage fees on flights if your bags are overweight. 69. You can calculate your Australian tax refund using our online calculator here. 70. Experience as MUCH AS YOU CAN! Surfing, diving, skydiving! Enter our Australian competitions here to see if you can do them for free. 71. Take lots of pics on your journey and follow us on Instagram for some inspiration. 72. Don’t worry too much about sharks! It’s highly unlikely you’ll get bit and you probably won't see one unless you go shark watching/swimming or cage diving. You should instead watch out for any dangerous currents, stick to beaches with lifeguards, and don't go too far from the shore. 73. In New South Wales, there are about 51 shark netted beaches. Shark nets are in use to reduce the number of sharks in the area. Unfortunately they result in other fish dying too and threaten turtles, dolphins and whales. Respect the water at all times, it’s the shark’s territory, not yours! And don’t worry! You’ve more chances of being hit by lightning than being killed by a shark. 75. Maybe it’s because of the great weather, but Australia seems to have an unusually high number of music festivals and street parties. Lots of great up-and-coming music artists and DJs hail from Oz! Look them up here. 76. You’ll find lots of new food experiences in Oz: Kangaroo, crocodile…I recommend a nice lean Roo Kebab cooked on the barbie. Watch out for signs near rivers, lakes and beaches. You don’t want to wade into a river only to find that Big Al the crocodile hasn’t had his lunch yet! You should wear stinger suits in the water at places such as the Barrier Reef and Whitsundays from November to May as there is a higher risk of jellyfish at these times. Some jellyfish can make you feel very ill if they sting you, others, like the Box Jellyfish, can kill you in as little as 3 minutes. 78. If you need to fly to remote areas like Cooper Pedy or Kangaroo Island, then check out Rex Airlines. 79. Sleep under the stars! You can camp for free or at a low cost in many of Australia’s National Parks and some of them have designated camping spots. You can check out exploreaustralia.net.au for listings. 80. If you’re looking for food on a budget, then check out local surf clubs or bowling clubs for cheap food. Asian food is of a high standard and typically the cheapest type of food you can get. 4 or 5 dim sums will set you back just a few dollars and many of the Asian restaurants are BYO. 81. You can also check out our post on eating on a budget in Oz. 82. Menu Log is a great way to find cheap takeaway deals. 83. Cook a barbie! Australians love a good BBQ and many local parks have free facilities you can just go in and use. 84. Enjoy some free sightseeing by taking a coastal walk that won’t cost you a cent. 85. 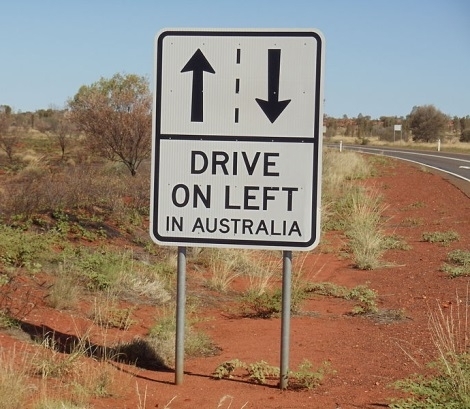 In Australia we drive on the left! 86. There are plenty of drive-thru bottle shops-yay! 87. If you’re looking for very fashionable clothes at the high street stores then don’t bother! The clothes are expensive and not that great. Second-hand, vintage, and charity shops all have great finds and wealthy Australians often use them to get rid of last season’s fashions so you’ll be able to snaffle up some bargains for a few dollars. You can get your undies and swimwear at the cheap and cheerful Target! Even though some countries such as Ireland have reciprocal agreements with Australia to provide urgent care for free, ambulance fees are not included and are insanely expensive. 89. Cigarettes are crazy expensive, come in frighteningly graphic boxes, and there are many places where it’s not acceptable to light up-the perfect incentive to give up! 90. Don’t forget Tasmania, it has a fascinating history and you’ll get to meet the Tasmanian Devil. You should also check out the haunting but fascinating convict colony of Port Arthur. 91. 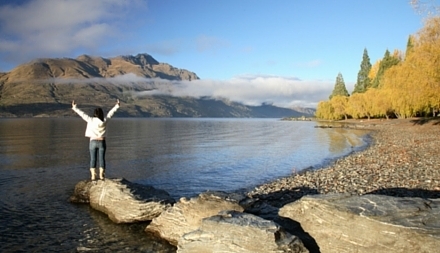 If you’re going as far as Australia, you should really consider visiting New Zealand. You should have a return flight booked if you plan to go to NZ and it’s just 3 hours on a plane from Melbourne to Christchurch. 92. If you like wine, then go on a wine tasting tour, they aren’t cheap but you’ll have an expert guide. Usually lunch is included and you’ll get to try a LOT of wine. You’ll also get discounts for any you buy on the tour. The Yarra Wine Valley is particularly stunning. 93. Don’t forget to do your tax return! You could get a nice bit of cash back. You can estimate your refund using our online tax calculator here. 94. For more news of Australia and great competitions, like Taxback.com on Facebook! 95. Have fun, don’t be afraid to spend money and have your trip of a lifetime! 96. 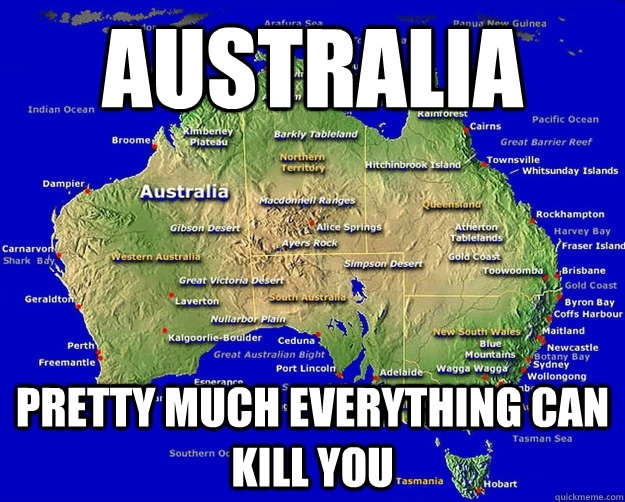 Remember, Australia is a continent, so give yourself plenty of time to see and do everything you want! 98. As it's such a huge country, the weather varies between states. August is a good time to visit Cairns as the temperature hovers around a nice 26 degrees and you're avoiding the school holidays. The best time to go to Sydney is around late Sept to early Dec and late Feb to April. 99. You can ski in Australia. There are a few resorts in New South Whales, Victoria, Tasmania, and the Australian Capital Territory. Perisher is Australia's biggest ski resort. 100. 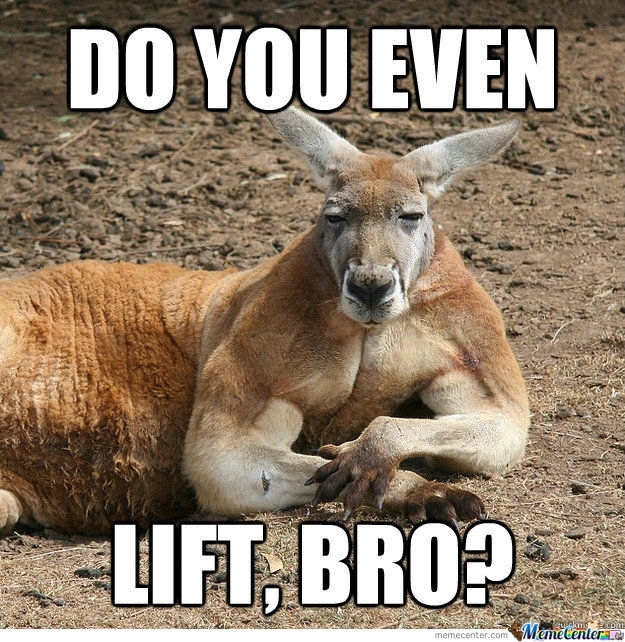 A trip to Australia is the perfect excuse to get in shape. Australians love to work out and one of the easiest ways is to try surfing or just go for a jog in the local park-they've got the weather for it and you probably won't be too far from a running track. The gym is very popular with Aussies, but I chose the outdoors. 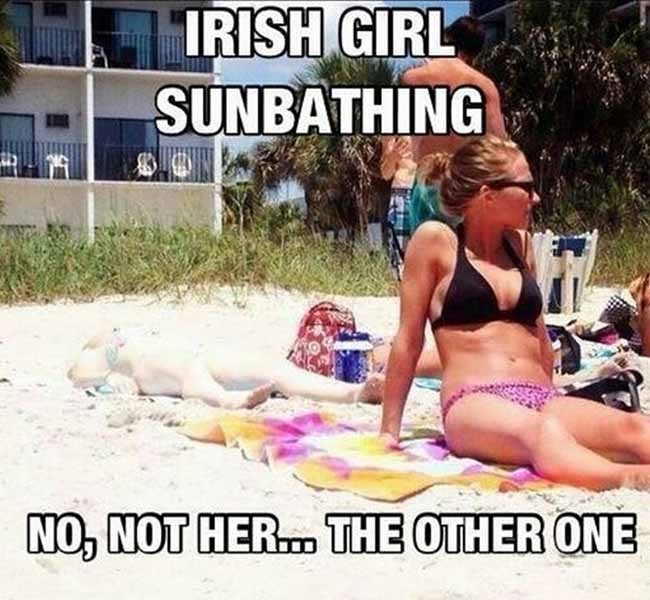 Just make sure you wear plenty of sunscreen and a hat is advisable! 101. Don't be afraid to meet new people! Hostels and tours are great ways to meet other people, especially if you're travelling alone. Meetup Groups are also big in Australia, so if you're missing your friends back home, why not give it a try! Still confused? Download our Oz working holiday guide below! Ciara is our Digital Content Writer at Taxback.com. Since graduating in Journalism and Visual media, Ciara has worked in online marketing in Ireland and Australia and loves writing in all its forms.